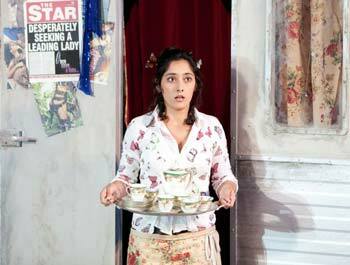 The Guardian wrote on Ezgi Kutlu’s portrayal of ISABELLA in ‚L’Italiana in Algeri’ at the Garsington Opera in June 2016. In the season 2015/2016 the artist could also be seen as the 3rd DAME in Mozart’s ‚Zauberflöte’ at the Gran Teatro del Liceu in Barcelona and at the Edinburgh Festival. At the Comic Opera Berlin she was AMASTRE in the revival of Stefan Herheim’s succesful staging of Händel’ s ‚Xerxes’. 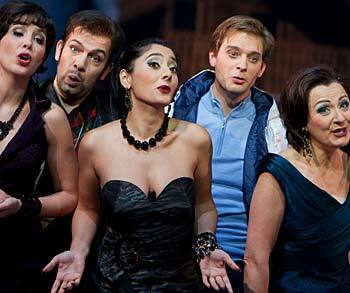 In the season 2013/2014, after a series of concerts and scenes and arias from nach einer Serie ‚Carmen’ in the Netherlands, Ezgi Kutlu was ANINNA at the Flemish Opera Antwerpen’ in the new production of ‚Der Rosenkavalier’ produced by the Oscar winner Christoph Waltz. The young singer sang at the together with Edita Gruberova in “Norma”. She was FENENA in Verdi’s “Nabucco” at the Teatro dell' Opera di Roma under the musical direction of Ricardo Muti. Within the context of a concertant performance of this very production, Ezgi Kutlu sang at the Mariinsky Theatre in Saint Petersburg. Ezgi Kutlu started her musical education in her native town Ankara and completed her studies at the New Yorker Juilliard School of Music and the Curtis Institute of Music in Philadelphia. Moreover, she attended master classes with Elly Ameling and Marilyn Horne. She was a member of the training programme of the Opera Theatre of St. Louis and the Opera North in New Hampshire, where she could be heard as NANCY in “Albert Herring” and the Santa Fe Opera in New Mexico. Ezgi Kutlu was a Prize winner Licia-Albanese-Singing Contest and at the Metropolitan Opera National Auditions; besides she achieved the Marian Anderson Award. From 2008 to 2010 the mezzo was a member of the Nurembourg State Theatre, where she sang such roles as DORABELLA, MADDALENA (Rigoletto) and CHERUBINO (Le nozze di Figaro) and SINAIDE in Rossini’s “Moïse et Pharaon” and the COMPOSER in “Ariadne auf Naxos”. 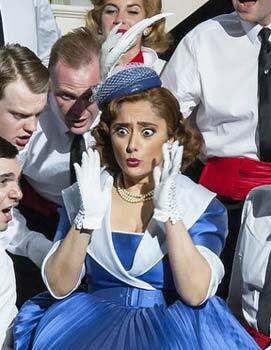 ‚magnificent the velvety smooth dramatic mezzo of Ezgi Kutlu as Penelope ‘. 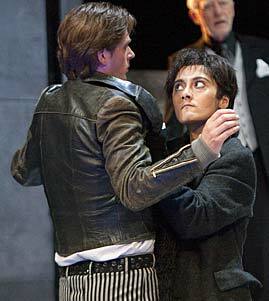 Here, she was also CORNELIA in ‚Giulio Cesare’. At the Stuttgart State Opera she was ANNIO (La clemenza di Tito) and RAGONDE (Le Comte Ory). In the season 2016/2017 the mezzosoprano portrays GIUDITTA in Mozart’s ‚Betulia Liberata’ at the Opera Frankfurt, MAMAN/LA TASSE CHINOISE/LA LIBELLULE in Maurice Ravel’s ‘L’enfant et les sortilèges’ at the Comic Opera Berlin and is FENENA in ‚Nabucco’ and MADDALENA in ‚Rigoletto’ at the Stuttgart State Opera. Besides, she sings Beethoven’s Mass in C major with the Beethoven Orchestra Bonn. ...but it’s Kutlu who is the real find: this is a wonderful voice, dark in tone and evenly produced, her coloratura effortless and thrillingly negotiated. 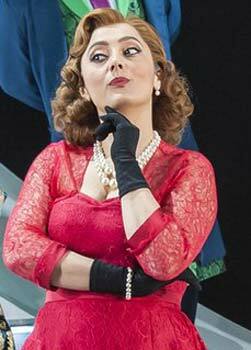 Ezgi Kutlu demonstrates a pleasant and steady mezzo-soprano as Isabella. Ezgi Kutlu sings Cornelia wiuth some thrilling alto cantilenas.